Star Wars: Forces Of Destiny is coming to Disney's You Tube channel this July. What is it you ask? 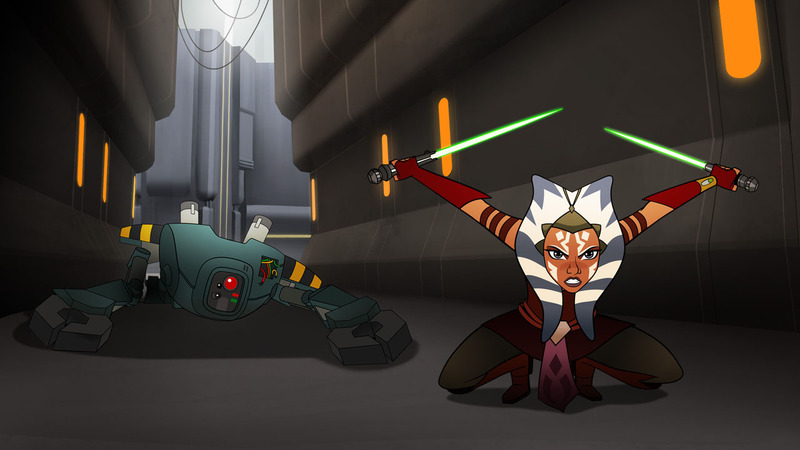 It is a series of animated shorts featuring the women of the Star Wars saga in new stories that are also considered cannon in the Star Wars timeline. Each will be 2-3 minutes long and the show is being developed by Lucasfilm Animation and is set to debut July 3rd. The animated micro-series will be available on Disney YouTube just before a two-part TV special featuring eight additional shorts on Disney Channel in Fall 2017. Fans will be delighted to hear familiar voices in the series, including: Daisy Ridley (Rey), Felicity Jones (Jyn), Tiya Sircar (Sabine), Ashley Eckstein (Ahsoka Tano) and Lupita Nyong’o (Maz Kanata). Check out the trailer below for Star Wars: Force Of Destiny.